Dolls4Tibet are unique creations by women who are Tibetan refugees and local Indians living in Dharamsala in the Northern Indian Himalayas. Our project aims to empower its artisans by training them in new skills and creating meaningful, income generating and enjoyable work opportunities within a homely and supportive environment. Additionally, we seek to preserve Tibet’s endangered culture with our personalized Tibetan and Steiner-inspired products. The workshop is a small-scale, self sufficient, socially aware enterprise which abides by Fairtrade principles. Also, we aim to encourage cross-cultural understanding and social integration – an important aspect of refugee life. Our dolls are exquisitely handcrafted and filled with pure Himalayan sheep wool. 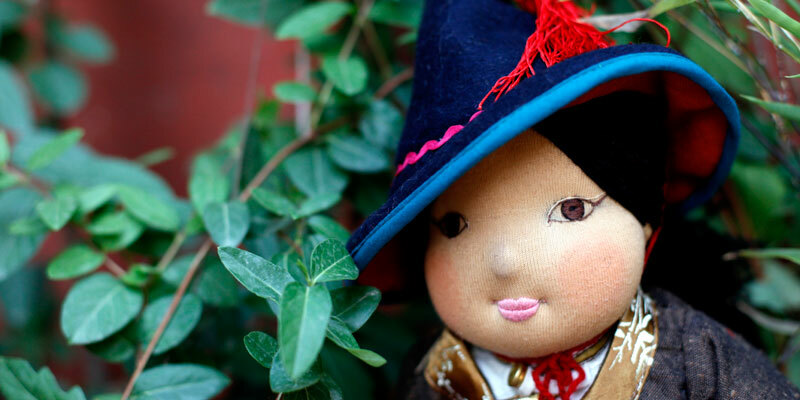 Since each doll develops its own distinctive personality, creating them becomes a delightful achievement for the maker, a unique toy for a child and a precious reminder of Tibet’s threatened identity.